Your portraits are ready. Now what? Well, where do you want them to live? For us, that's an easy answer. We want portraits cascaded and hung over every wall, in every room, all over the house. We're guessing you do, too! Queue in the portrait reveal! We've been listening to you - since the very first interaction. We know what you've been hoping to achieve within your session; something more romantic, something great and classic for Grandma, or something fun and real of your kids playing and laughing together. 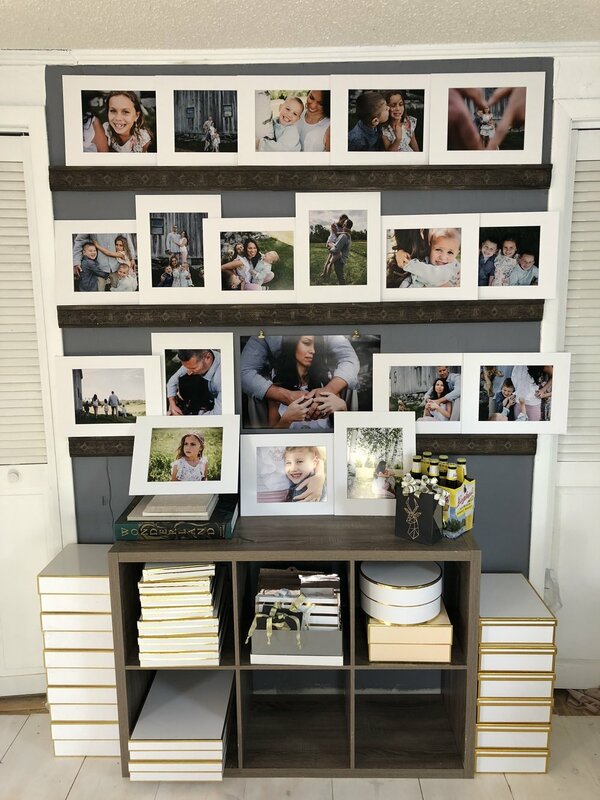 So from that information, we select our top 25-ish from your session, print them, mat them, display them, and then invite you in for our your in-person reveal. You are in control here. 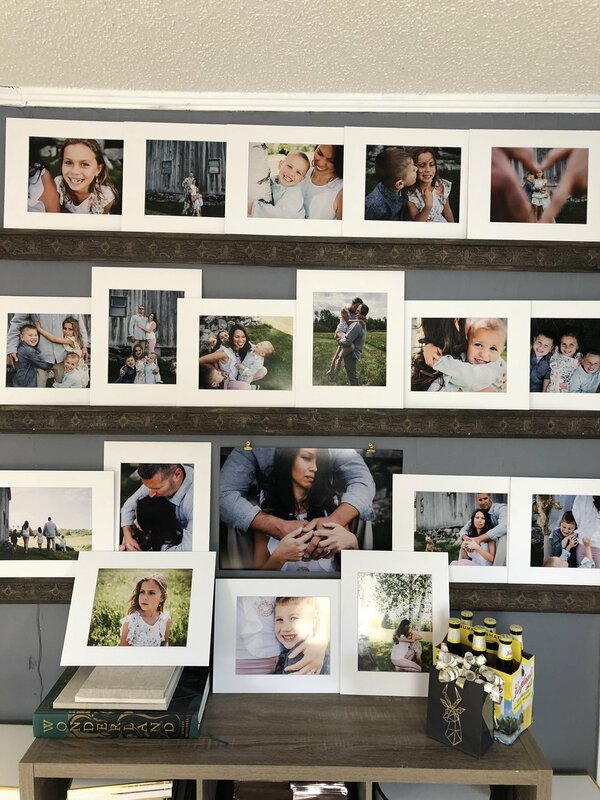 We will spend time showing you not only the portraits you may purchase off of the wall, but also a slideshow of every image we've finalized for you. We'll also take the time to show you display options of canvases and gallery designs that come ready-to-hang. We take the guess work out of it all so all you have to do is sit back and enjoy. Once you've decided what your must-haves are, an invoice will be generated and we'll get busy on your order. Anything in studio is ready for you to take-home that day, and custom orders take two to three weeks to come in after our quality checks are completed.